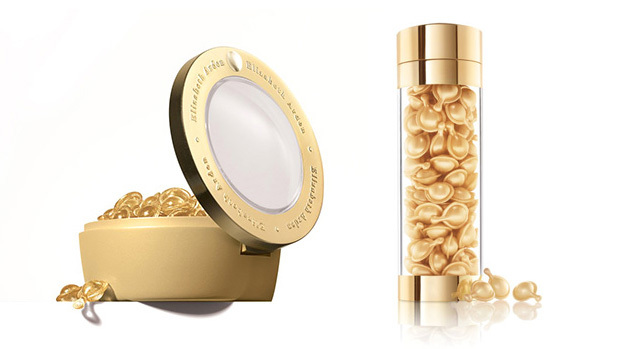 This week we review Elizabeth Arden Ceramide Capsules Daily Youth Restoring Eye Serum and Ceramide Capsules Daily Youth Restoring Serum. These pure, potent, single dose capsules help fortify skin around the eye area to help fight fine lines and crow’s feet and give eyes a virtually lifted, smoother, brighter look. Its age-resisting formula strengthens the delicate skin around the eyes and helps with fine lines. To use these capsules, simply twist the tab around twice and squeeze it onto your fingertips. Once opened, gently apply the serum around your eyes, but remember to cleanse your face beforehand. If you have sensitive eyes and are worried about the serum affecting your eyes, you’ll be happy to know that this product is ophthalmologist-tested and perfectly safe to use. 20 ITEMS = 60 OUTFITS!